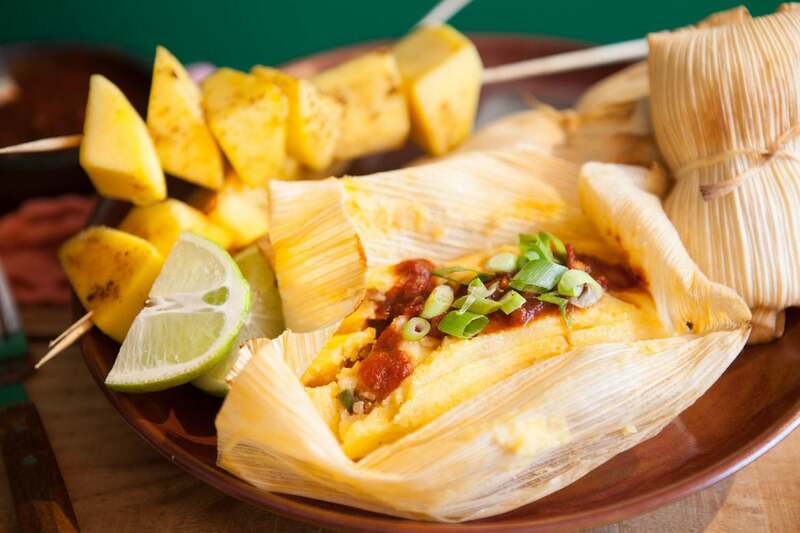 It’s true that good things come in small packages, especially when it comes to tamales. 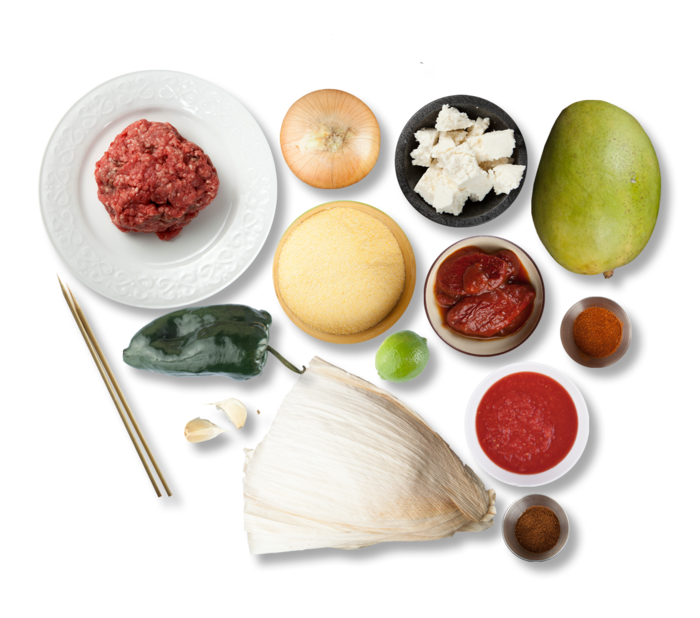 The ancient Mayans, Aztecs, and Incas of Central and South America would agree, since they’ve been making these delicious bundles from as early as 7000 BC. 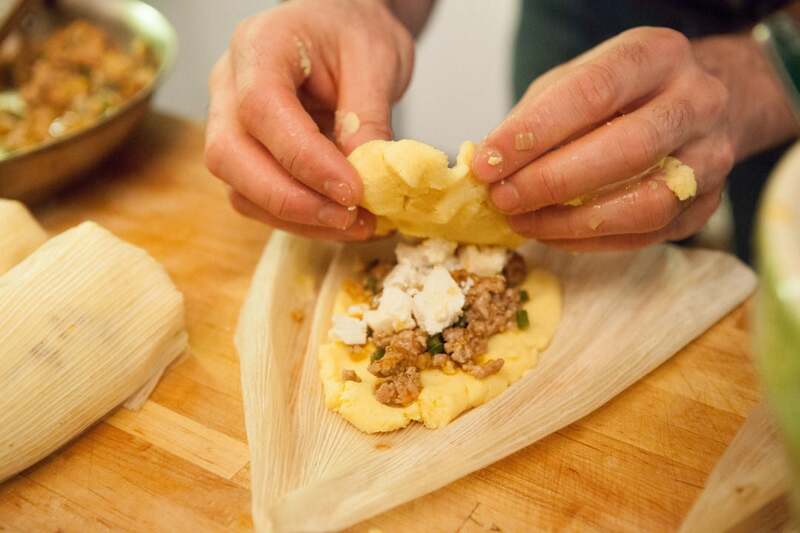 The ancient warriors and hunters would pack tamales to go, the way we would a brown-bag lunch. Nowadays, you can’t miss the street vendors in Mexico supplying a steaming hot, portable snack to passersby. Preheat the oven to 450ºF. Submerge the corn husks in warm water to soften them. Peel and chop the garlic. Finely chop the chipotles and slice the scallions. Chop the onion and finely chop the poblano pepper. Peel the mango, and cut it into large chunks. Set everything aside. In a medium bowl, combine the masa harina with 1¼ cups of water, 2 tablespoons of olive oil, and a generous pinch of salt. 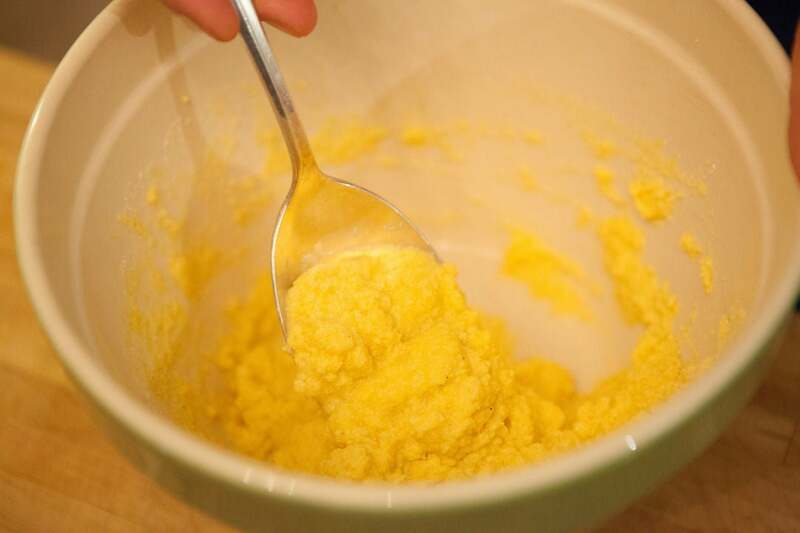 Stir until it is well combined, then let stand so the mixture can thicken. In a medium skillet, heat a little olive oil on high until shimmering, but not smoking. Add the onion, garlic, and poblano pepper, and cook for 4 to 5 minutes, or until softened. 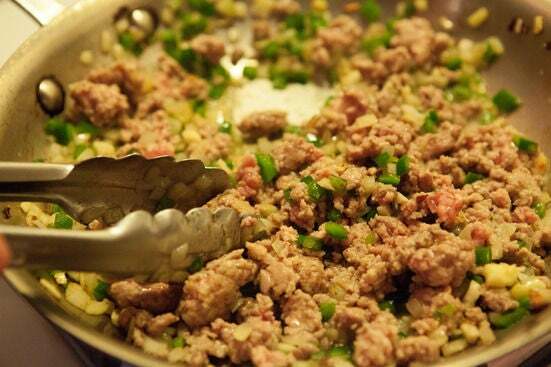 Add the ground pork; season with salt and pepper. Cook about 5 minutes or until meat is browned and cooked through, breaking up and stirring with a spoon. To same skillet, stir in 1 tablespoon of the tomato paste and ½ cup of water. Remove from the heat and set aside. Remove the corn husks from the warm water and pat dry. Fill each with a portion of the masa, the pork and veggie filling, a little bit of the queso fresco, then a final layer of masa. Then, wrap the husks around the filling and place on a baking sheet seam-side-down. 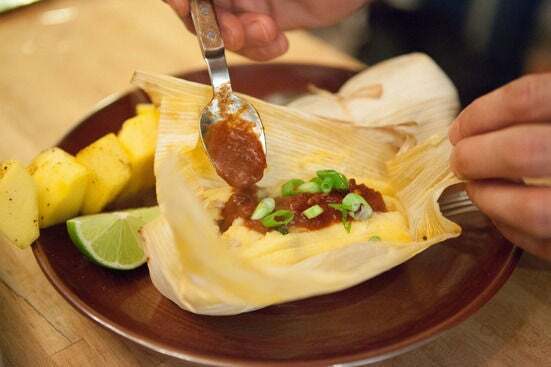 Bake the tamales for about 15 minutes, or until golden brown. While the tamales bake, in a small pot, combine the chopped chipotle chiles, smoked paprika, and half of the chili powder. 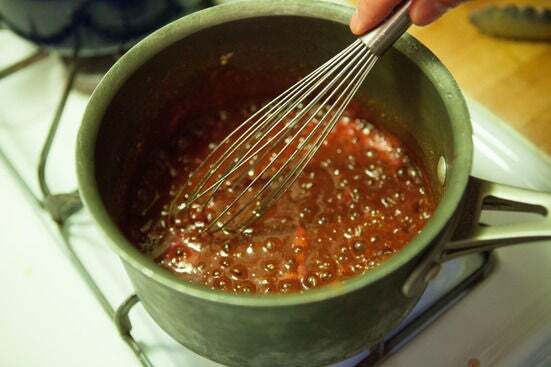 Stir in 1 cup of water and the remaining 2 tablespoons of tomato paste. Heat on medium until simmering. 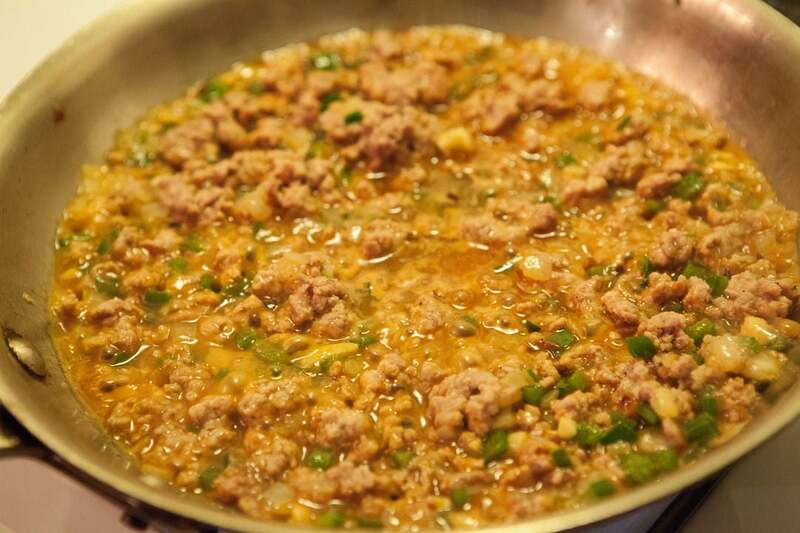 Reduce heat to low, if needed, to maintain a simmer so the sauce reduces its volume by about half. 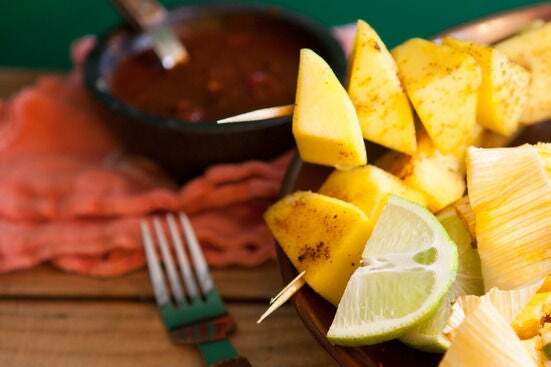 Place each of the mango pieces on the wooden skewers, then squeeze the juice of half a lime over top. Sprinkle the remaining chili powder over the skewers. Once the tamales are golden brown, remove them from the oven and divide them between two plates. Carefully open the husks and spoon the sauce over the cooked tamales. 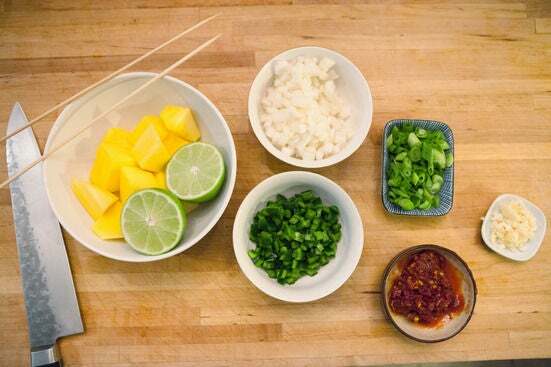 Serve a mango skewer on the side of each and garnish with the chopped scallions and remaining cheese. Enjoy!